Isaac Maupin is a fourth-year Ph.D. candidate in the University of Kentucky’s Ethnomusicology/Musicology program. Prior to attending the University of Kentucky, he attended Otterbein University where he received a Bachelor of Music in guitar performance in 2013. Following the completion of his undergraduate study, Isaac lived in Boston and performed in various rock ensembles. At UK, Isaac teaches undergraduate courses on the History of Jazz, Creativity and Innovation in Rock Music, and Music Appreciation. In addition to teaching, Isaac has performed in various ensembles at UK including jazz combos, Korean drumming, and the gamelan. In the summer of 2017, he worked as an intern in the archive of the New York Public Library for the Performing Arts at Lincoln Center. As an intern, Isaac assisted in the curation of two collections of jazz-related materials. Additionally, Isaac has research interest in the music of the 1960s and has contributed to a publication about the role of music in activist movements of the 1960s. His current research focuses on jazz and activism, and centers specifically on Honk! A Festival of Activist Street Bands. 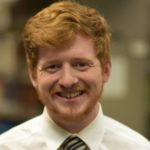 Isaac has served the president of FOCUS@UK, a student organization that promotes research in music, and serves as the IT Director of the Graduate Student Congress. He is also the graduate student representative of the South Central Chapter of the American Musicological Society and serves on the Public Relations Committee of the Society of American Music. Working Dissertation Title: Honk! : Meaning and Activism in 21st Century Street Bands Advisors: Ron Pen, Revell Carr, Donna Kwon, Kevin Holm-Hudson, and Ann Kingsolver. Bachelor of Music — Guitar Performance, Otterbein University, May 2013. Advisors: Karl Wohlwend, James Miglia, Michael Yonchak, and Jennifer Merkowitz. “Finding Aid.” Otto F. Hess Photographs. New York Public Library. “Carnival of Swing: Uncovering an Historic Jazz Concert at Randall’s Island Stadium, 1938.” New York Public Library Blog. September 25, 2018. https://www.nypl.org/blog/2018/09/25/carnival-swing-jazz-randalls-island-stadium-photos-1938. “Bob Dylan: The Prophet of Social Change in the 1960s.” Media Watch 8, no. 3 (September, 2017).With Stephen Brandon and Mark Goodman.